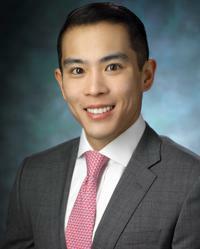 Kenneth L. Fan, MD is a plastic surgeon practicing at the MedStar Georgetown University Hospital and MedStar Washington Hospital Center of our MedStar Plastic and Reconstructive Surgery department. He specializes in breast reconstruction and microvascular surgery. Dr. Fan earned his Medical Doctorate at the University of Miami Miller School of Medicine in Florida with research distinction. During his undergraduate and medical career, he sought additional research training at City of Hope researching cancer treatments in molecular pharmacology and at UCLA researching morphogenic properties adult mesenchymal stem cells. His passion for plastic surgery brought him to an externship in Chang Gung Memorial Hospital in Taiwan where he learned from leaders in microsurgical reconstruction. Furthermore, he broadened his horizons in international health, with through his work in Haiti, the Dominican Republic, and South Africa. Dr. Fan began his career at MedStar Georgetown University Hospital through a one-year internship, six-year residency, and one-year microsurgical fellowship with the Department of Plastic and Reconstructive Surgery. He has a strong interest in delivering innovative solutions to improve patient care. His work has led to 55 peer reviewed publications, a textbook, 12 book chapters, and 65 regional and national presentations. He been nationally recognized at the prestigious American Association of Plastic Surgeons, won silver award for best case report for Plastic and Reconstructive Surgery Global Open, and the Kawamoto best paper award at the American Cleft Palate Association. He is also a reviewer for Plastic and Reconstructive Surgery and the Aesthetic Surgery Journal. His work with the Enhanced Recovery After Anesthesia has provided his patients with decreased pain scores and narcotic pain medication usage and improved recovery after surgery. He has research in health literacy to decrease what’s “lost in translation” in postoperative instructions after breast reconstruction. He also is pursuing extensive work in reducing barriers to reconstructive surgery to the underserved community so all women suffering from breast cancer have the opportunity to feel whole again. Furthermore, many of his other studies are aimed at decreasing complications and helping patients feel comfortable and cared for. In his free time, he enjoys cooking, exercise, and playing with his German Shepard.